I have a tough time spending money. I worked hard to earn it; I’m careful not to waste it. But as a marketer, I know being stingy means I’m hindering my business’ growth, and I’d spend every penny I had — and get in bed with loan sharks — if I knew I could make back the investment (and then some). Now, I’m hardly an expert, and although I have a four years of experience under my belt, I thought it prudent to turn to more seasoned folk and learn about the ONE paid tactic they use for their content marketing campaigns which has brought them the most success. 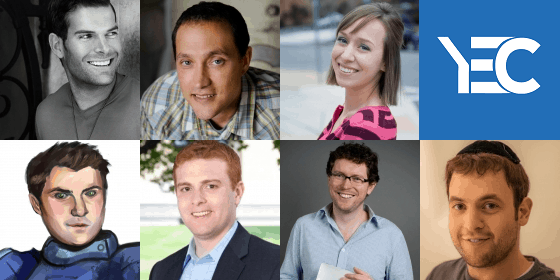 We questioned 7 successful business owners and members of the Young Entrepreneur Council (YEC), an invite-only organization comprised of the world’s most promising young entrepreneurs, to learn what their most successful paid content marketing strategy was. Here are their responses. Google AdWords has been our most reliable leads provider for close to five years now. We consistently get more than 100 quality leads per day without fail. Gradually increase your SEO budget. There must be a strong focus on original quality content that draws links from other sites. Top 10 lists, interviews, Q&As, and product reviews inbound loads of quality links. — Gideon Kimbrell, Clubscore, Inc. Partner with influencers who reach your audience. Find the biggest social media personalities who talk directly to your audience, and figure out how to work with them. If you are solving a problem for their audience (which you should be), they will be delighted to work with you. At Duxter, we have found the eCPMs of these campaigns to be a fraction of what we have spent elsewhere. Paid article distribution services help us direct people across the Internet to our content by placing it on publishers’ sites below their own content. The engagement levels are through the roof and well worth the investment! Articles that are strange or intriguing greatly outperform less interesting content, so use content sharing platforms to advertise your most interesting articles. Retargeting is a killer way to use paid advertising because you are marketing to those who have already visited your site [or blog]. We’ve seen retargeting produce conversion rates 30 percent higher than regular paid advertising because the prospect is already familiar with the product. They are targeted and effective. We’ve seen a great response and have been able to “connect” with people right away. It’s been a game changer. We have had senior decision makers in our target market reach out to us because of these ads. We have also had people who were shown the paid ad ‘like’ and ‘share’ our content within their networks. This bonus increased our reach. As a business that is primarily based in consulting and expertise, we’ve been experimenting with webinars. Promoted Tweets help us grow our webinar audiences, which then grows our email list and allows us to share our content and build trust with potential customers. We’ve shared 7 awesome strategies with you, now it’s your turn to sound-off. What is your #1 paid content marketing activity? p.s. In partnership with Citi, YEC recently launched StartupCollective, a free virtual mentorship program that helps millions of entrepreneurs start and grow businesses.